Single Arabica from Dien bien with dried berries, flowery smell, natural sweet taste. Quang tri's dark medium roast coffee. Nutty and garden peas aroma. Tangy and sweet taste. "Caffè macchiato, sometimes called espresso macchiato, is an espresso coffee drink with a small amount of milk added, today usually foamed milk. In Italian, macchiato means "stained" or "spotted" so the literal translation of caffè macchiato is stained coffee or coffee with a spot of milk. 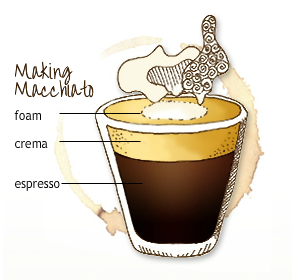 The Macchiato can be prepared either with steamed hot milk or cold milk. 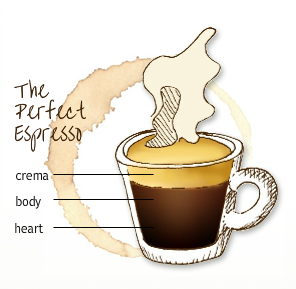 If hot, the espresso's name would become macchiato caldo (marked hot); if cold, macchiato freddo (marked cold). The choice between 'caldo' and 'freddo' is usually a matter of personal tastes." Oriberry softens an espresso shot of our single-origin Arabica of Quang tri mix 70% medium dark and 30% dark roast with a dash of foam milk in about 1:1 ratio. Milk with a spot of espresso. Caffè mocha, in its most basic formulation, can also be referred to as hot chocolate with (e.g. a shot of) espresso added. Like cappuccino caffè mochas typically contain the distinctive milk froth on top, although, as is common with hot chocolate, they are sometimes served with whipped cream instead. They are usually topped with a dusting of either cinnamon or cocoa powder and marshmallows may also be added on top for flavor and decoration." Oriberry combines the rich decadent flavours of chocolate with the velvety smooth taste of single-orgin Arabica of Quang tri which 70% medium dark roast and 30% dark roast, a popular combination for the sweet tooth or the novice coffee-drinker. 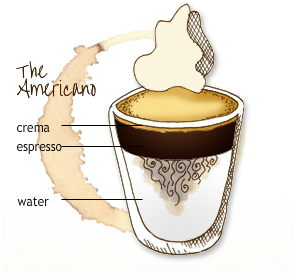 "Caffè Americano a style of coffee prepared by adding hot water to espresso"
For those that want their espresso moment drawn out that little bit longer, or who want to escape from very thick and strong espresso, Caffe Americano should be an excellent choice. The espresso shot is mixed with hot water. 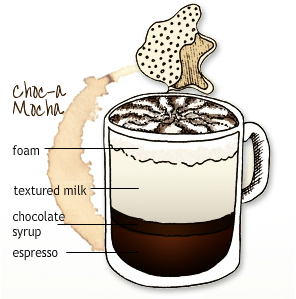 "is a coffee drink made with espresso and steam milk and micro foam. The term as used in English is a shortened from the Italian caffe latte or caffellatte which means milk coffee." 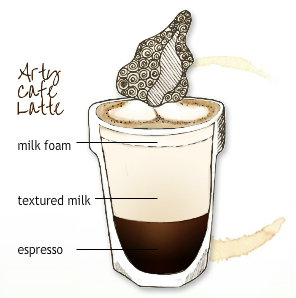 An Oriberry latte will be completed with some clever latte art by one of our talented baristas! For something sweeter, a hint of caramel is added. 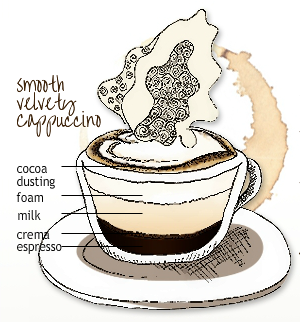 A dash of vanilla, the perfect flavour pairing for the smooth end-notes of Oriberry's Arabica variety. A unique combination, but don't be turned off by the green latte art! A matcha replaces espresso with green tea. 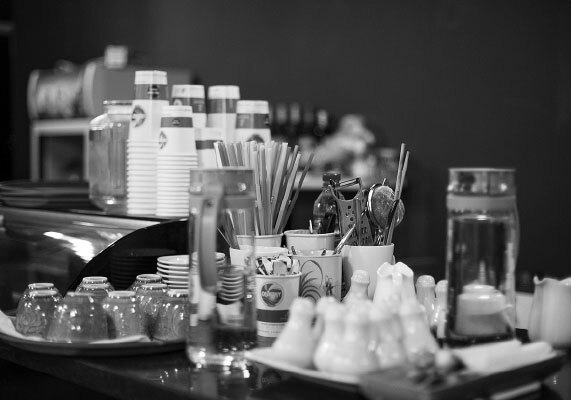 "is a coffee beverage that originated first in Australia, and later in New Zealand. It is prepared by pouring steamed milk (may consisting of fine bubbles) over a single or double espresso. It is somewhat similar to the traditional 5 oz cappuccino or caffe latte although smaller in volume, therefore having a higher proportion of coffee to milk and milk more velvety in consistency – allowing the espresso to dominate the flavour, while being supported by the milk. 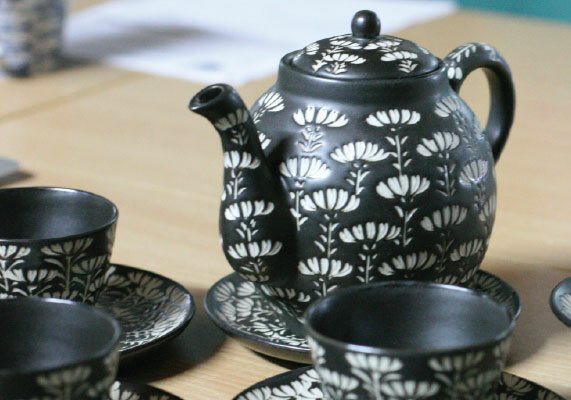 The beverage is typically served in a small 150–160 ml ceramic cup. Microfoam is used, and loosely frothed milk from the top of the steaming vessel is typically discarded or held back in the vessel while the creamy milk from the bottom of the vessel is folded into the coffee, resulting in a smooth and velvety texture"
Keeping it simple at Oriberry - a shot of espresso, freshly drawn from Oriberry's premium single-orgin Arabica, 70% medium dark roast and 30% dark roast, with warm steamed milk, fresh from the lush green dairy region of Mộc Châu, in son La province. "is an Italian coffee drink which is tranditionally prepared with espresso, hot milk and steamed milk foam. Cream may be used instead of milk and is often topped with cinnamon. It is typically smaller in volume than a caffe latte, with a thicker layer of micro foam"
The cappuccino begins with a shot of espresso, freshly drawn from Oriberry's premium single-origin Arabica which 70% medium dark roast mixed 30% dark roast from Quang tri. Another option for those who want lighter coffee is a shot of espresso of medium dark roast Arabica from Lam dong. The cappuccino is then skillfully constructed with a fine layer of cocoa dusting on the espresso's crema, before warm, silky-textured milk is poured leaving a foam top. Finished with a dusting of chocolate powder. For the chocolate lover - an espresso mixed with a decadent shot of chocolate syrup then layered with warm, textured milk and foam, finished with a dusting of chocolate powder. "is coffee brewed by forcing a small amount of nearly boiling water under pressure through finely ground coffee beans"
Freshly prepared with Oriberry's premium single-origin Arabica from Quang tri which mixed 70% medium dark roast and 30% dark roast offering a rich, aromatic and velvety experience for the coffee purist. An espresso topped with a dash of hot water. Espresso with a shot of Grappa, an Italian brandy liquor. Espresso with double hot water added. Shorter than a standard shot of espresso. 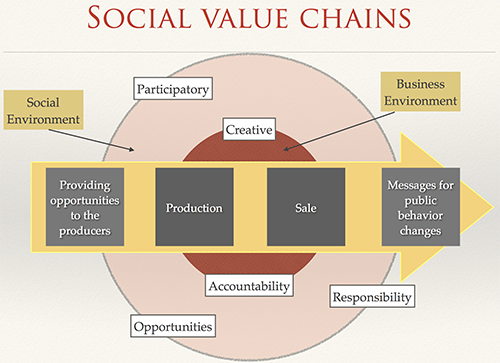 To create opportunities for smallest farmers or producers to participate into the company value chain. A clear connection from business products development to social problems solving. Our farmers care about the quality of coffee, keep always looking for solutions to improve their practices. The coffee value chain starts at selecting varieties, designing garden, caring trees, harvesting and processing. I keep the best garden to produce your coffee. In Vietnam, both wet and dry methods are applied. Farmers | producers select processing method based on the characteristics of coffee and processing condition. Normally, Robusta farmers apply dry process, in which coffee cherries collected and then dried naturally by solar energy. The outers are then taken to get green beans. In wet processing, a pulping machine is used to take the outers from the seeds. Then they are fermented by soaking in a water tank. After 8-24 hours, seeds, called wet parchment, will be washed (through a machine), then dried etheir naturally or by driers. 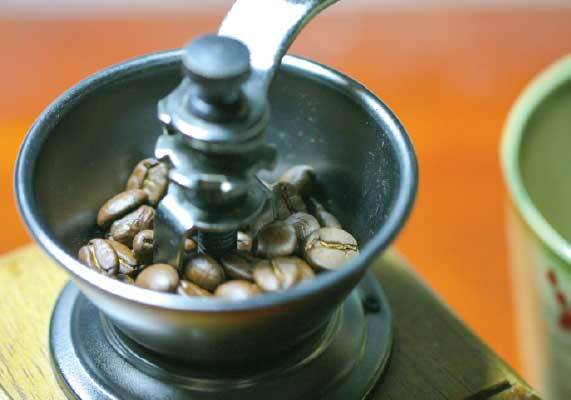 Wet method is applied for Arabica coffee. If the wet parchments are not washed or just half-washed, the dried parchments have yellow color, the method then called semi-washed. As fully washed methods requires big investment in machinary and water treatment system, most of fully wash coffee produced by companies or at least co-operatives. In this value chain, farmers sell their cherries to those producers. Their value added activities end at "harvest"
Less investment required, in Robusta and semi-washed Arabica value chain, farmers could perform more works in processing. The more work farmers could do, more income or less risk they could receive. Oriberry has to balance between coffee quality and opportunities for farmers to work more in the value chain as well as sustainable environment. In Quang tri, where the natural condition is risky for semi-wash method, we invested to build fully washed coffee processing factory. The factory has long term contracted farmers to supply high quality cherries. In other locations where farmers could take advantage of the solar energy we encourage farmers to use water tank for better controlling fermentation. Semi-washed method is also applied in certain locations to produce our coffee where our research proves that quality of the beans may be the same or above fully washed coffee.